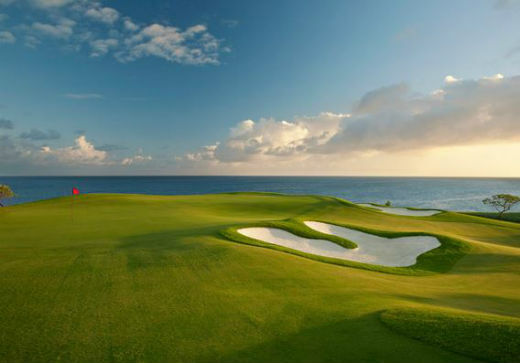 Kukui’ula is Kauai’s elite private community. Nestled between clear blue waters and lush tropics, the dreamlike landscapes and amenities of Kukuiula make it the most luxurious resort community on the Garden Isle. 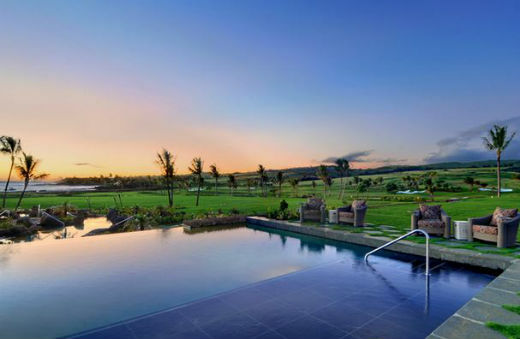 The community, developed by an affiliate of A&B Properties, Inc. of Honolulu and DMB Associates, Inc. of Scottsdale, Arizona, is located on the beautiful south shore of Kauai. The Poìpῡ beach area lies to to the east of the community offering extraordinary beach views along with the National Tropical Botanical Garden to the west and historic Old Koloa Town to the north. “Kukuiula now claims 101 owner families, 30 completed houses and eight vacation-rental “club cottages,” with another 10 houses and eight rental cottages under construction, according to Brent Herrington, president of Kukuiula Development Co. The members-only amenities include an 18-hole golf course designed by Tom Weiskopf; a clubhouse complex with restaurant, pools and spa; and a 6-acre farm and lake stocked with peacock bass. Located on the northernmost edge of the Hawaii island chain, Kukuiula is a nature-centric getaway. A mountainous coastline creates valleys carpeted in thick greenery. Guests can enjoy waterfalls in a rain forest oasis or hike to the peak of Mt. Waialeale. The quite beaches of the Garden Isle accommodate all guests: from the adventurer looking to explore mountains or surf, to families who want to relax and play and couples who want to enjoy a romantic sunset. 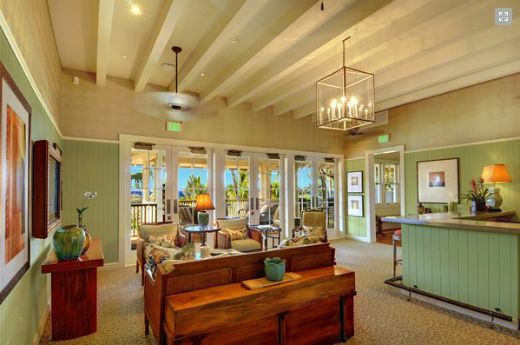 The community services of Kukuiula are what make this location so desirable to travelers. Kukuiula provides the best of nature and adventure without sacrificing convenience and the needs of its guests. Fedex, bakeries, farmers markets, shopping mall, dining, schools, spa, golf courses and various medical facilities are all closely located within the resort community – every need is met.